Stop what you're doing now and start doing something! Always be ashamed of yourself and know you can do better! That's my motto! Well it’s not but I wanted to start an article and couldn’t think of an opening line but here we are! 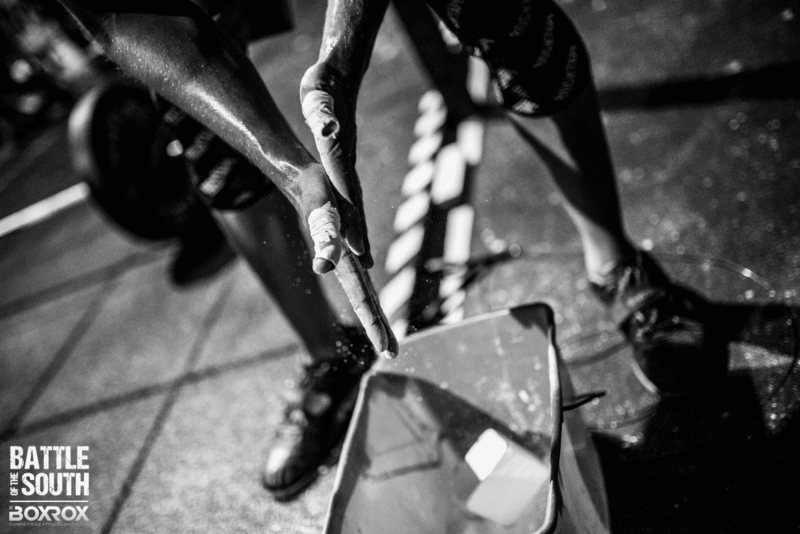 Now into the nitty gritty stuff, goal setting and training for Crossfit, what is a goal? Just got to get the ball past the ugly guy! Right? Exactly! The net is your endgame and getting past the ugly guy is the crappy stuff you’ve got to practice to attain your vision. First of all sit down and think about your goal. Make sure it’s something you want to do, don’t just do what everyone else is doing. You’re a beautiful unique individual and screw everyone else. Next you’ve got to find out where you’re starting from. This is where your Crossfit coach/trainer/mentor will come in, they can assess your current skill level then build your training from where you are now using the progressions and conditioning that you need not someone else’s magic super duper get fit 6 week dumbbell fly wolverine program for jacked abs that doesn’t involve deadlifts but does sell magazines (oh yes, I went there). I don’t want to live in a world where X-men don’t lift heavy. Next thing that needs to be decided is a deadline and how much time you can commit to. If someone is training Crossfit for an hour 5 times a week and someone is training once a week after 6 weeks both people can say they’ve been doing Crossfit training for 6 weeks but I’m going to take a guess here that the person training more might just maybe have made a little bit more progress than the person that’s trained 6 hours. When your deadline is decided, a few tests will be needed to see what you can do currently. Really give it your all here, if you go half assed then try and blast it a few weeks later who are you trying to kid here? Whether it be sprinting or swimming a distance for time, lifting a weight or drooping off the rings wishing for your first muscle up, go for it! Log it! I would even record it if you can. Whatever the plan of action is your job is to stick to it! If it’s programmed that you have to be at the gym at 5.00 am on a Monday morning to run then you turn up on time and ready to go, don’t be texting saying you’ll do it yourself that night or catch it up another day, you didn’t sleep well, you didn’t eat right, you don’t feel good… go anyway! I’ll tell you what, you’ll sleep well that night. The biggest part of you making progress in Crossfit is showing up consistently. If you’re on a progressive overload with numbers you have to hit increasing every week, tough luck if you don’t feel like it some day (and you will get those days) you have to stick to it and see it out, otherwise you’re wasting your time and your trainers. When the retest comes around again, same idea give it your all and see how much your hard work has paid off and check the results! Did you fall short of your goals? Surpass them? It’s from those figures you can really start to learn: what works for you, what doesn’t. Everyone progresses differently and testing is the only way to track yourself and how you improve in the most efficient way! 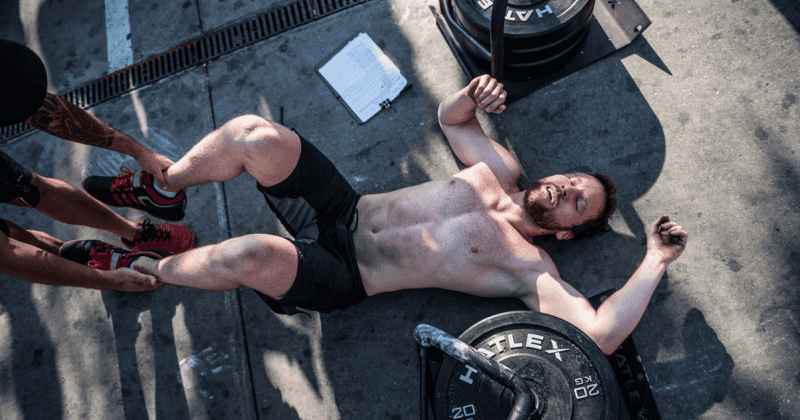 Training specifically for Crossfit: obviously the movements that you are enhancing should replicate the movements that you are doing during play otherwise what’s the point? The idea is to put yourself through hell so that when match time comes around it seems like a breeze. 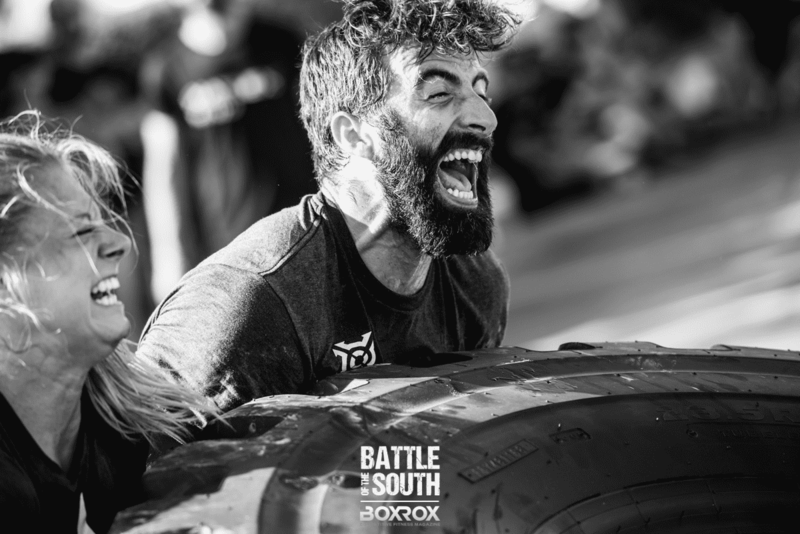 Make things harder, go for longer, wear that weighted vest, become a Crossfit machine so that your opponent has squeaky bum syndrome at the very sight of your chiseled sexiness. You also need to take into account which parts of your body are going to take a beating and start to increase your what we’ll laughingly call “rehab exercises”. These exercises are your bread and butter and should not be skipped. It keeps me awake at night wondering why people wait until something is injured before strengthening it, why not do it now? And ditch the pink 1.5 kg weights! Those are for after surgery, start building up what you use for those too and you’ll be well on your way to being bulletproof, add them into warm ups and cool downs. Getting the best out of yourself performance wise doesn’t just come down to showing up unfortunately. When you are training for something specifically, like Crossfit, then sleep, nutrition and body maintenance has to be really dialled in! Especially if your event means hitting a certain weight at a certain time! Getting a nutritionist should be one of the first things on your list. They can obviously help with gaining/losing weight but on top of that can recommend the best supplements for you to take to help you sleep, help your joints, recovery. I’ve that much trust with Tomek (CrossFit Varangian nutritionist) that if he handed me something and said take 40 morning, noon and night I would. Again with the nutritionist, if they ask you for a food diary, be honest! Who are you trying to impress by not mentioning that accidental jelly baby pizza. If you’re gonna start pushing big numbers and pushing your endurance to maximum, you’re going to get sore! Get a good sports massage therapist! I don’t want to turn this into another posture rant so just remember “stand up straight or I’ll kick you in the face” and never skip on stretching. You show people how to warm up and stretch they do it for the training then on game day they don’t bother and later wonder why they get sore afterwards. Goals are great, you should definitely have long term ones. But remember that you have your whole life to do stuff so in between 30 day challenges and super duper programs you should still be training hard and consistently. Personally I like to think of it like going back to base, I will try things and focus on certain aspects but when I have reached my goal or surpassed it, I will have a couple of days to mess about with my new found “gains” then straight back to strength work focusing on the most bang for your buck exercises. Having strength as a base in my opinion is a damn good attribute to have. You even think if you’re going to go for a bodybuilding idea with high rep schemes with lower weights. The stronger you are, the more weight you can push which will ultimately make you more of a beast! The term “functional” has became a fitness buzzword by the way (something you can sell): everything you do should be functional, always be working on your flexibility and your strength and any training program you do happen to partake in, you’ll be pleasantly surprised at how quickly you adapt!